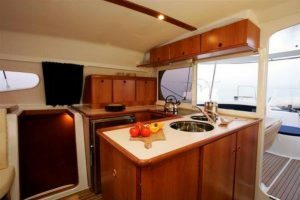 Our yachts are Nautitech 44 / 46 catamarans. 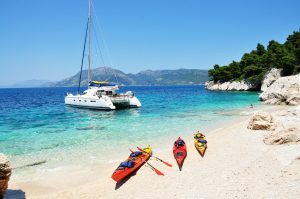 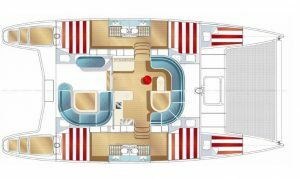 The catamarans have beds for up to 9 passengers with a lot of deck space, comfort and very good sailing performance. 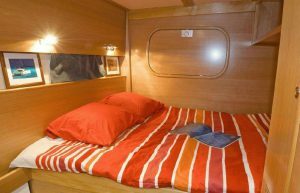 1 Twin/Triple cabin with ensuite (this cabin is a double bed, plus a single bed in the prow of the ship, so can be ‘twin’ but the beds are not the same size).